Would you trade a hug for a FB like or a Retweet? To me there is no question. I like to give hugs and no FB, Instagram, BitStrip, Instagram, Tweet like, follow, or re-post can provide a proper substitute for the experience of a hug. To me it’s the epitome for being a human. Being a great human is to accept and also giving hugs. No, this is not some feel-good hokum, but some serious business vision/ mission and marketing approach as well. Why do we hug in the first place? It just feels great to be part of a mini community. You feel like you are being taken seriously; you are being understood. Empathy and compassion comes out best when you are allowed to make the closest connection a human can make with another; you are forming a mini community by being that close even if it is ever so brief. Giving and receiving hugs means a desire to understand each other. You are part of an extended family that can keep on growing indefinitely. Moving from Germany to the U.S.A. was initially a lot more difficult than I thought. At first I could not quite feel comfortable receiving and much less giving hugs. At least where I am from in Germany it was frowned upon hugging “strangers”. Hugging back then was reserved for immediate family and friends – really good friends. Once I got acclimated and assimilated I just started loving the concept of hugging. Now enter the business world and the emerging trend of storybook marketing. One person whom I am blessed to having gotten to know personally is someone who you should also know. 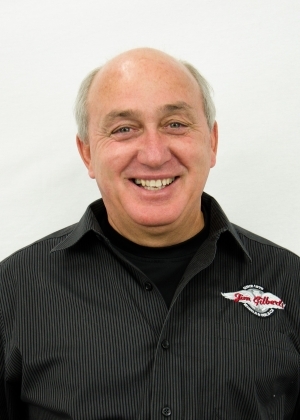 It is Jim Gilbert from Wheels and Deals in Eastern Canada. He is known as “The Most Huggable Car Dealer in Canada” (please watch his video, it is worth your time). It was not a marketing ploy. Jim and his wife Dawna have always been very personable and taken pride in providing honest value on top of a hug. This is a used car dealership(!). Used car dealers used to have a very bad reputation. Trust and used car dealer in one sentence? Who would have thought this could be possible? Jim and his team totally turned that around by being huggable: Being trustworthy enough that you get the family treatment! Here you have folks who genuinely look out for your well-being. This section may be tough to understand and to comprehend for even new car dealers. Just do yourself a favor and check out the many (and I mean MANY) customer videos in Jim’s Youtube channel. How many car dealers do you know can offer this kind of an impressive hug-worthiness portfolio? Go check out his website in more detail – you will not regret it. When you go there you are being taken care of and not taken advantage of. Jim and his extended family offer becoming part of this family – and you get a car that is new to you. Awesomeness! Superficial social media banter and “liking” etc is worthless; I solid human to human connection via being huggable is priceless. Only a real story that is worthy telling and connecting with is also one that will be long term sustainable. That it is also fun and profitable comes all but automatically. On a scale from 1 to 10 (10 being the hug-meister), how hug-worthy are you?